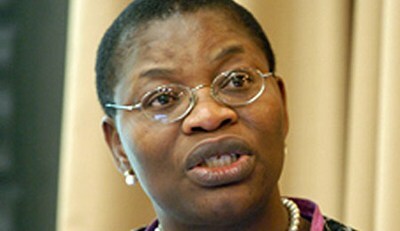 Former Minister of Education and leader of the BringBackOurGirls, BBOG,Oby Ezekwesili has charged President Muhammadu Buhari to always tell Nigerians the truth when it comes to Boko Haram Ezekwesili made the call at the group’s usual sit-out in Abuja. “We have gone through a lot. But what we have gone through is little of what the 219 girls are going through in the hands of the Boko Haram sect. Let nobody succeed in making us feel we should not continue. We will continue until the girls are back. The girls deserve justice and they have not been given justice. We are unhappy that they are spending close to two years in the hands of the terrorists.”“I have not lost hope. There is no basis to lose hope. Though we might be depressed sometimes, we won’t lose hope. We will stand for the girls. We will hold on to the commitment the president made to the Chibok girls’ parents and Nigerians. We believe that he will keep his promise and bring the girls back.”“Some people have been vocal about our Chibok girls, but now they feel the Chibok girls are distractions. Our Chibok girls are not distractions,” she said.